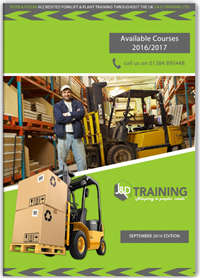 J & D Training Ltd are the leading provider of both RTITB or ITSSAR accredited and Unaccredited forklift and plant training throughout the West Midlands. 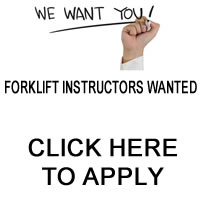 We provide forklift and plant training nationally at your companies location or at our training centre in Dudley, West Midlands. Our training centre is located within a short distance of Lye train station about 1 mins walk. We are accredited by both RTITB & ITSSAR and our accredited training was rewarded by being finalists in the Talent In Logisitics Awards 2017 making us 1 of the 6 best accredited training providers in the UK. Our instructors are assessed to a very high standard and we can assure you that any training provided by us will help you meet all the requirements set out in the HSE L117. Well what can we say, unlike other unaccredited training providers our instructors are again all assessed to the same high standard as the accrediting bodies. 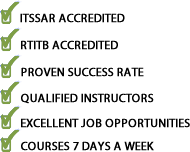 We assess our instructors just like the accrediting bodies, on many occasion it will be the same RTITB or ITSSAR accredited instructor we send to you, we deliver the same level of training, we even register the learners on our national database. With the bonus of us being able to be more flexible to your individual requirements you also get the following advantages. Price: for example an accredited RTITB or ITSSAR counterbalance refresh course costs £62+vat per person at our centre. Unaccredited costs only £55+vat per person at our centre. Certification: With accredited RTITB or ITSSAR certification, if a person leaves your company they can purchase a copy direct from the accrediting body with or without your permission. With unaccredited inhouse certification, they can only use the certificate within your company and they cannot purchase a copy if they leave your company without your permission. We can make the training specific to what your workers actually do in the workplace, for example if all you do is load flat bed lorries then we have a course to do just that for you.